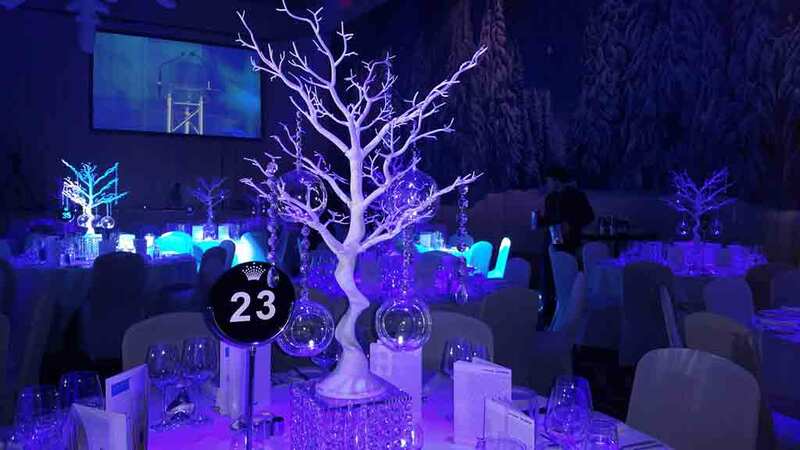 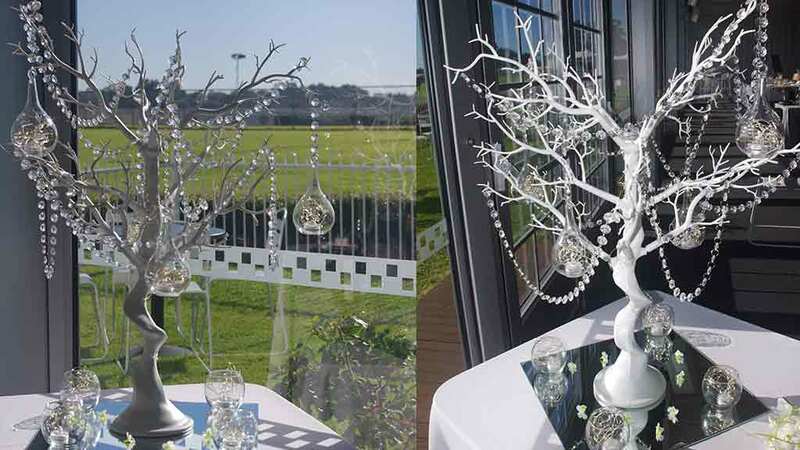 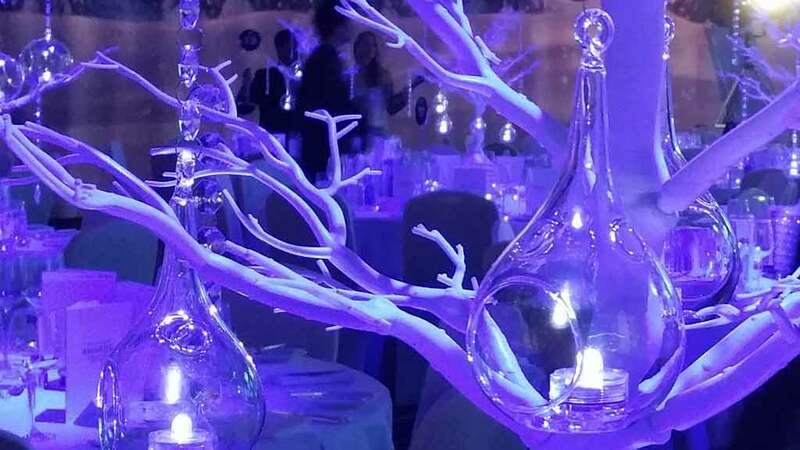 CRYSTAL MANZANITA TREE CENTREPIECES – VARIETY. 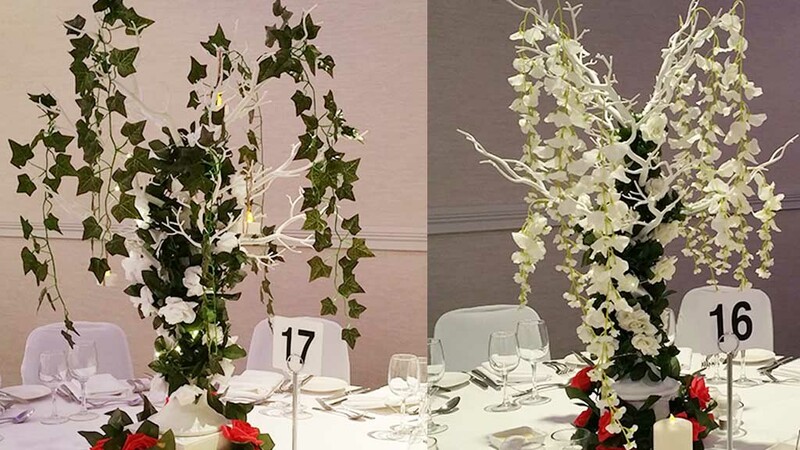 A 75cm White Manzanita Tree adorned with a selection of accessories. 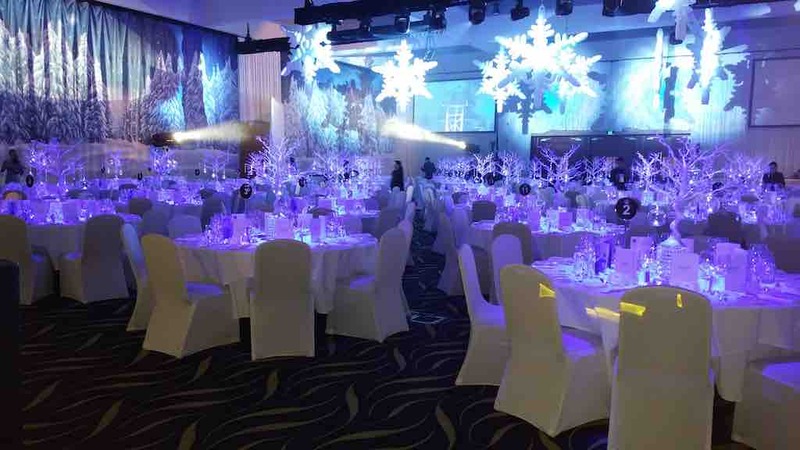 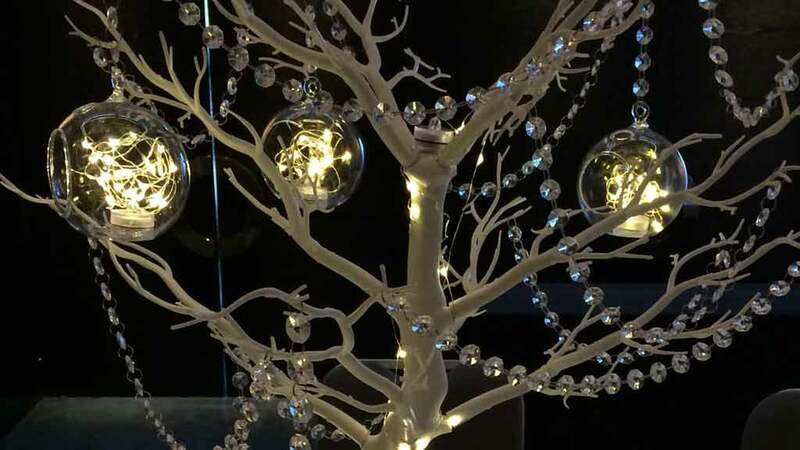 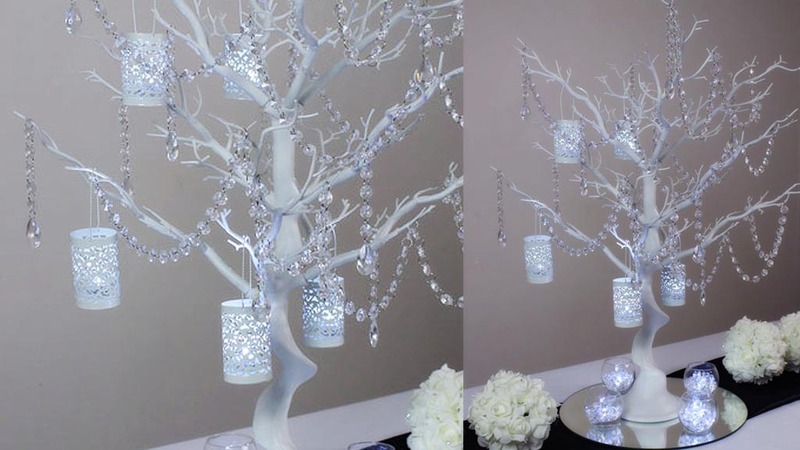 Here’s a 75cm White Manzanita Tree adorned with hundreds of acrylic crystals on chains raised atop a 20cm crystal studded acrylic base and enhanced with LED seed lights! 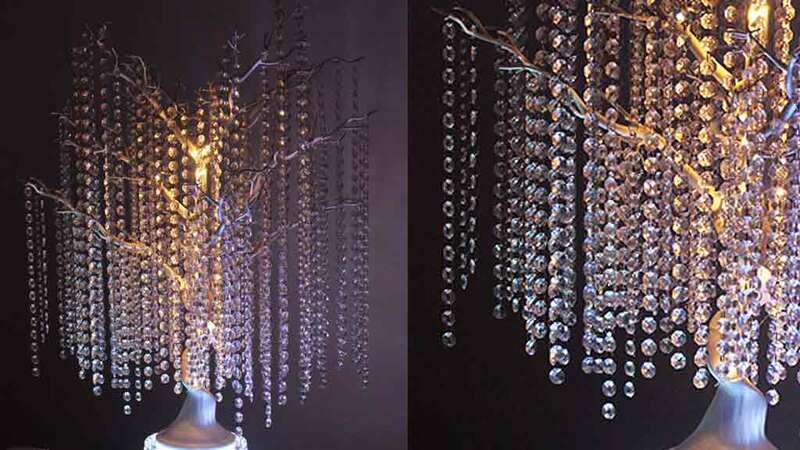 The end result is just breathtaking! 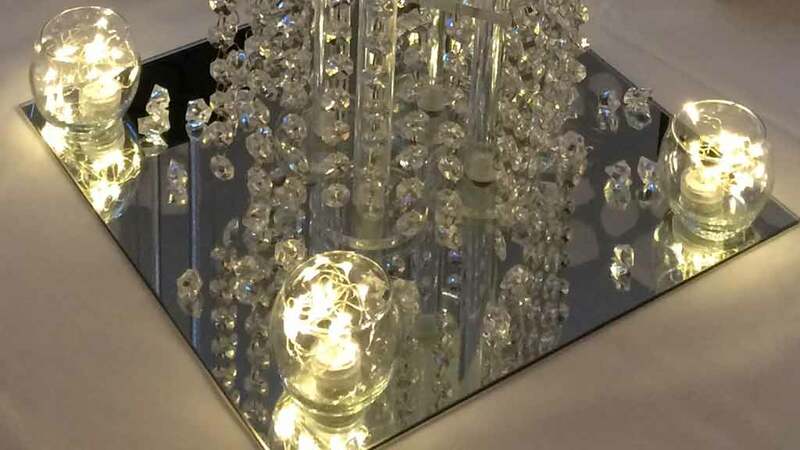 Perfect for weddings and other special celebrations. 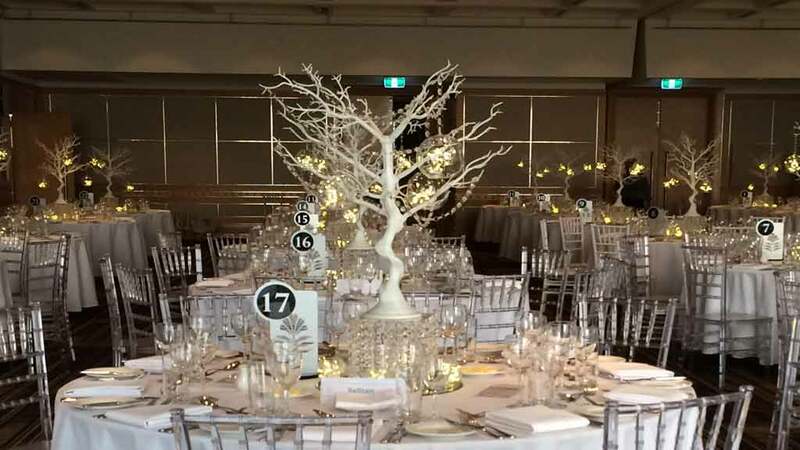 Reserve your Manazanita Tree Centrepiece today!